Newly Custom-Built Southwest Ranch Style Chalet is Unique & Luxurious! Open living floor plan that flows graciously with a mix of Modern features and Old-World Charm. 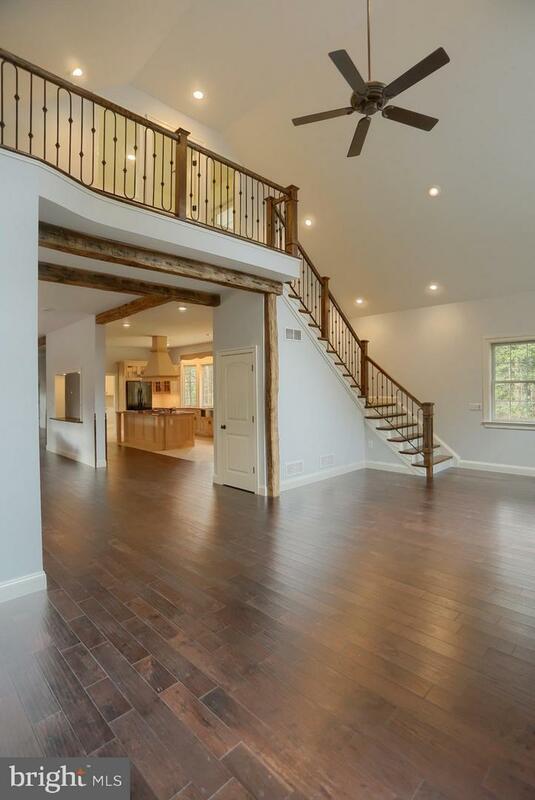 Oversized front porch stretches over 80~ long with Blacksmith custom-built Iron Railings. Enter the front door into your open floor plan that leads into the Dining room, Kitchen and Cathedral Living room. The Living room has a hand-crafted Fireplace made of the stone from the original foundation of the old candy factory and Beams from and old Lancaster farm. Oak staircase leads to the 2nd floor Master Suite. Kitchen area is the Heart of the home, 34+ handle Birch Cabinets, Granite countertops, Breakfast Bar, Heated Floor, Wine Cooler, double oven, 6 burner Gas top, Butler~s Pantry and much more! The adjoining dining room offers a cute & handy pass-through, window seating with drawer storage. Next, we have the twin-entry Library with large Bay windows and another window seat. First floor offers 2 large bedrooms with oversized closets plus long-term storage space and large Bathroom. Upstairs we have the Master Suite with His & Hers Bathrooms including Tile Steam Shower and Jetted Bathtub. Private spacious Veranda overlooks the rear yard and woods. Balcony overlooks Livingroom, Fireplace and great view of the pool! On the West side there is a large sitting room that could also be used as additional Bedroom. 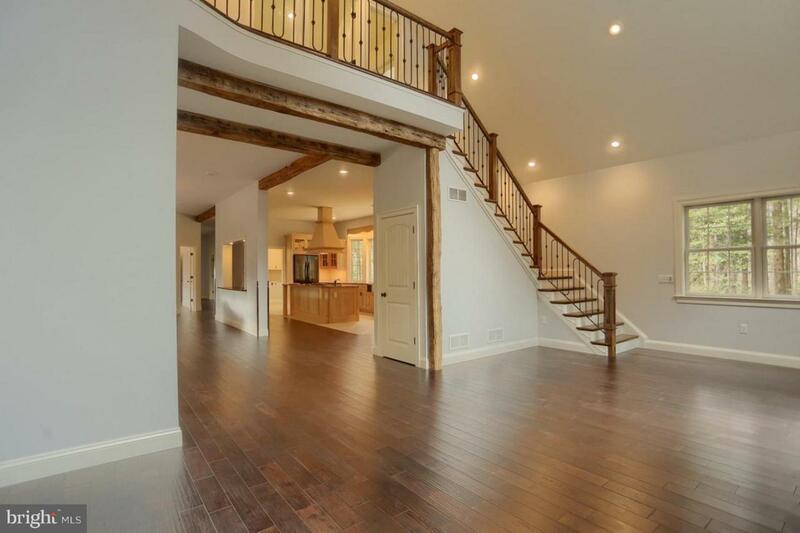 Basement is plumbed and ready to be finished, offers a large Stucco Fireplace and Bar. Above the Garage is a large 24~x24~ room also plumbed & ready to finish. Don~t forget about the in0ground pool and therapy Hot tub! Call for more details and to set up your personal tour!